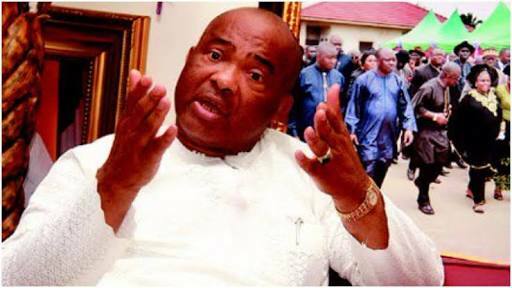 The Special Presidential Investigation Panel For Recovery of Public Property said on Sunday that it had arrested the governorship candidate of the All Progressives Congress in Imo State, Hope Uzodinma. He was arrested at Nnamdi Azikiwe Airport in Abuja. Chairman of the panel, Chief Okoi Obono-Obla, said in a short message to The Punch on Sunday that the panel arrested Uzodinma, the senator representing Imo West Senatorial District, for the failure of his company to execute a contract of $12m for the dredging of Calabar channel. According to the panel’s chairman, the contract was awarded by Nigerian Ports Authority (NPA). The statement read, “This (Sunday) evening, at about 8.20pm, operatives of the Special Presidential Investigation Panel For Recovery of Public Property at the Nnamdi Azikiwe International Airport arrested the APC governorship candidate in Imo State, Hope Uzodinma, after disembarking from an Air Peace P47324 flight from Lagos.